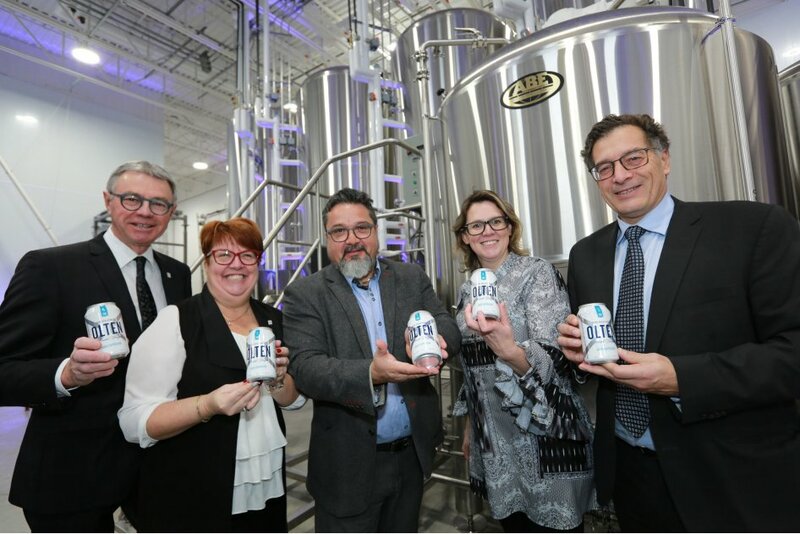 Brasserie Olten, a subsidiary of Bilboquet Microbrasserie inc., inaugurated its production facilities in Saint-Hyacinthe’s Olivier-Chalifoux industrial park today. With more than 10,000 square feet, the new brewing plant is located in the new agri-food business incubator that opened a few days ago on Choquette Boulevard. The $2 M investment went into purchasing several pieces of specialized equipment that will be used to brew and bottle Le Bilboquet products, as well as a new line of products sold under the Olten brand. The result of the company’s research and development efforts, Olten beers are certified gluten-free, low in calories and low in alcohol content (max. 4% alc./vol.). They will be sold in cans. Several flavours will be available in the coming months, including fruity beers. The new plant has an annual production capacity of 10,000 hectolitres. It will namely allow the company to distribute its products throughout North America, including its more than 800 points of sale in Quebec. 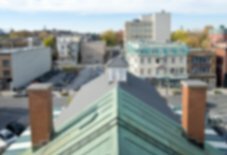 In addition to generating this major investment, the project created a dozen new jobs in Saint-Hyacinthe. It was made possible thanks to financial support from BMO, Canada Economic Development, the Ministère de l’Agriculture, des Pêcheries et de l’Alimentation du Québec and the MRC des Maskoutains’s Fonds FLI-FLS (FTQ).